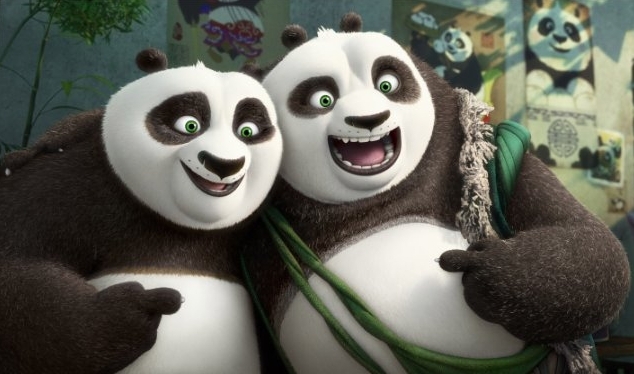 Kung Fu Panda 3 - Is the Third Time the Charm for Fat Pandas? Kung Fu Panda 3 can best be described as "another one." It's just a slight variation of the story told in the first film, but with more pandas and magical chi used to try to differentiate the two. The main theme at work here is that Po needs to learn how to be himself in order to defeat the bad guy. More interesting is what the film has to say about family, primarily coming with the introduction of Po's birth father, which doesn't exactly sit well with his adoptive dad (James Hong). Their entire subplot is perhaps the smartest thing in the entire franchise. 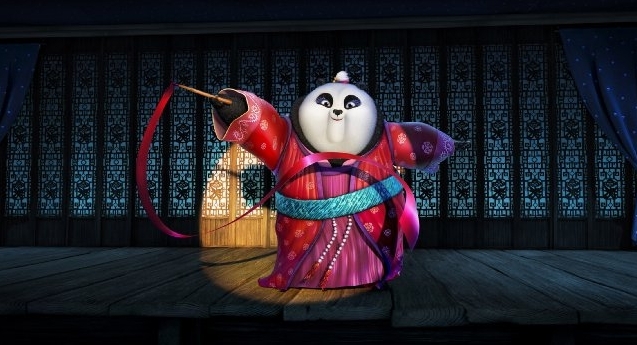 After all, this is a series whose primary joke is that a fat panda knows kung fu. Kung Fu Panda 3 doesn't contain a lot of action, but what we get is pretty entertaining. The second film is still probably the best, but watching varying species of animals beat on each other is something that it would be hard to mess up. Still, this one adds in magical chi and a bull with jade blades on a chain, so that's pretty fun. The animation on the whole is pretty solid. DreamWorks is one of the top animation studios for a reason; it puts out top-quality work, at least in the visual department. DreamWorks' films usually lack subtlety and complexity, and that's mostly true of Kung Fu Panda 3. I guess at this point what I'd like is for the filmmakers to switch things up a bit. There's little to this narrative and these characters that we haven't seen before. Introducing Po to a bunch of other pandas should have provided some freshness, but mostly it just gave us different versions of Po, whom we've already gotten to know pretty well. That's kind of the problem with all of DreamWorks' animated work: by the time we get past the second installment, it starts to get stale. Shrek was good for the first two, but by the time we got to the third one, the act had grown tired. The same holds true with Madagascar. Kung Fu Panda 3 is, at least, decent - but if a fourth film is going to be made, the filmmakers are going to have to make some key changes. Kung Fu Panda 3 can best be described as "another one." It's just a slight variation of the story told in the first film, but with more pandas and magical chi used to try to differentiate the two. The supporting cast is pushed aside for Jack Black, there isn't a ton of action, and most of its themes are so obvious that even the child paying attention the least won't miss them. But it's pretty funny, it's got some beautiful animation, the vocal work is solid, and it does contain a genuinely good subplot. It's fine. It's a step down from the second film, but it's still perfectly serviceable, and it's certainly better than the other "aimed at children" animated film currently in theaters. Bottom Line: It's a perfectly fine film, and if all you want is "more of the same," it won't disappoint. Recommendation: If the kids want to go to the cinema, this is the one out right now to take them to.